What an absurd and cool picture. And all thanks to the bike. If it was cross-country, the picture would bee good but ordinary. 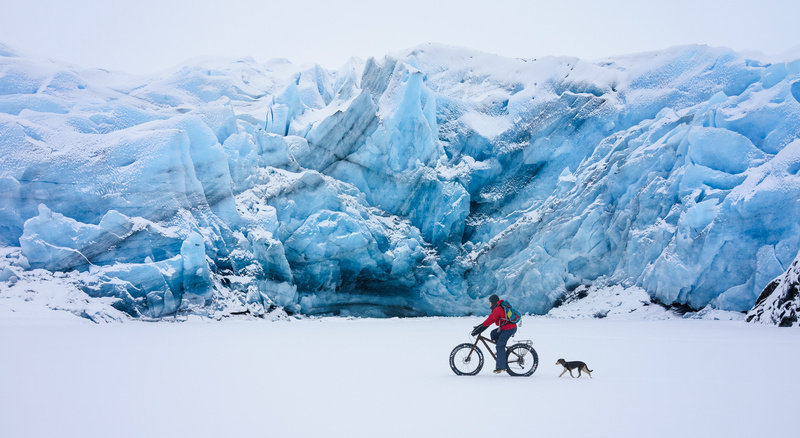 Like it is now, it look like an absurde telling of someone going to the north-pole by bike. Its like relaxed biking in the park with a smal dog, but not. Totally wrong environment.